Mick Foley is gone from TNA Wrestling. 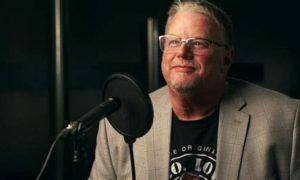 According to reports, Foley asked the company for his release this week citing creative differences with the future direction of his angle as Network Executive. 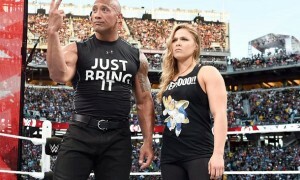 While nothing is ever a given, most assume that a WWE return is imminent. The latest turn of events explains Foley’s random firing on Impact Wrestling just a month after he returned to the company. Foley’s current contract with TNA expires in September, so the release would come a few months early. Foley said during an interview back in December that he wouldn’t be re-signing with TNA so Foley leaving is not much of a surprise. Leaving in the middle of the company’s biggest angle other hand is what makes this a bigger story. Foley has had a rocky relationship with TNA Wrestling since Hulk Hogan and Eric Bischoff came into power in 2010. Foley had been written in and out of storylines under the new regime with no real explanation. 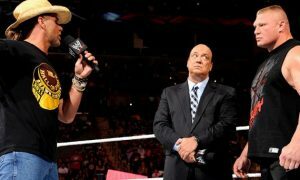 Foley and the brass had a major difference of opinion last year when it came to an angle that asked Foley to turn heel. Ever since that disagreement it appeared the bloom was off the roses for Mickles. Foley has certainly not been shy about expressing his displeasure with the company over the last few months. Foley has done several interviews where he questioned the direction of management. Foley recently made news for comparing TNA Wrestling’s embarrassingly low house show attendance to an Empty Arena Match on Twitter. Mick has also been promoting a lot of WWE material on his Twitter account. Mick Foley is a very smart man. I would not be surprised at all if Foley’s pot shot on Twitter and WWE pandering while part of an angle where he was playing a network executive, was an attempt to force the company’s hand and give him his release. 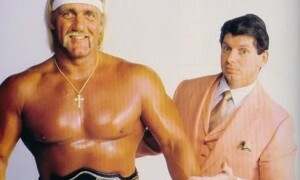 Dave Melzter on a recent podcast speculated that the creative difference that motivated Foley to ask for his release was a heel turn in his most recent angle as network executive. One month ago Foley didn’t have any problem with the angle and returned to TNA. Meltzer reports that a sudden change in direction in the angle upset Foley. While Dave didn’t have 100% confirmation on the circumstances, he does think all signs point to the company asking Foley again to turn heel. The circumstances surrounding Foley asking for his release are really the big story here. Obviously there was a sudden change a month into the company’s biggest angle. This either tells me that there is panic or a complete lack of direction with the current TNA booking. If you take into consideration recent statements that Hogan and Bischoff made in social media when criticized for their decision making, I think it is fair to say that they are feeling a ton of pressure right now and are in panic mode. Something is definitely brewing over there and is about to explode if ratings don’t turn around. To be fair, there are several in TNA Wrestling that are reportedly just as frustrated working with Mick Foley as Foley was working with them. Foley was definitely not the most popular guy in the locker room and was described to me by one former co-worker there as having a pretty big ego. Read Foley’s recent books and you will notice immediately what a big fan of Mick Foley that Mick Foley is. In TNA’s defense, the idea that someone would turn down a fake heel turn in a fake wrestling storyline who is being paid a lot of money to be there is rather silly in 2011. Although if Mick had creative control in his contract (and he probably did) than he has every right to do so. Mick actually addressed this criticism on Twitter and tweeted the following on Sunday afternoon. Ironically, Foley left the WWE after twelve years in 2008 for the same reasons. Foley was the SmackDown color announcer at the time and wasn’t very happy with the job. Foley left the company to go work for the competition. Foley told a reporter that “creatively, the announcing job wasn’t working out too well”. This makes two companies that Foley left for creative differences. Reportedly Mick was also frustrated that the company failed to get his behind charity work and promote his goodwill. Whatever differences I may have with the way Foley does business does not take away from the fact that he is one of the most charitable pro wrestlers in the business. His charity work is remarkable. TNA has every right to promote or not promote what they want, but it does seem pretty stupid to see Foley on TMZ.com every week for some kind of charity promotion and not see it on TNA’s website or television show. Most say that Foley’s return to the WWE is a given, but is it really? Vince McMahon appears to enjoy playing games in these situations with wrestlers that left his company for either WCW or nowadays TNA Wrestling. Knowing that Foley’s options are limited basically to just Ring of Honor, is Vince McMahon really going to run to the phone and roll out the red carpet for Foley? Listening to Mick’s interviews when he left the WWE and reading some passages in Mick’s books, it didn’t appear that he and Vince were on the greatest terms when he left. Although it appears that any bad bridges were smoothed over when Mick’s last book was promoted on WWE RAW. While I do think Foley will definitely be back at some point, it would not shock me whatsoever to see Vince make him sweat it out a bit in typical Vince fashion. On the other hand, the timing for Foley could never be better. How much sense would it make for Foley to be the anonymous RAW G.M.? I think it is a natural fit and a storyline that makes a ton of sense. Now the G.M. has made some decisions to favor the heels, but you could easily explain that with Foley. Maybe he was just having fun? Maybe he was just doing what he thought was fair? Or maybe, just maybe Foley was screwing with John Cena to help out his buddy The Rock? The heelish tactics from the G.M. are definitely more explainable with Foley than with another babyface taking the spot. And speaking of The Rock, there is also that Rock vs. John Cena feud which has plenty of space for Foley. If Foley gets an unconditional release, a Foley vs. John Cena SummerSlam or Survivor Series match as part of the angle makes a ton of sense. If The Rock has any influence over this angle I am sure he would love to get his buddy into the mix. As I said above, the timing couldn’t be better for the former Mankind. Can Foley get into a WWE ring and wrestle to the standards of the current product? Mick has taken a lot of punishment over the years and has greatly slowed down in the ring. Would Vince risk putting Foley in the ring in a high profile match after seeing some of his efforts in TNA? I think the answer is yes. Remember, Foley did an angle with Edge right before he left the company. There was talk that this was a backup plan for an Edge vs. Foley match if The Undertaker wasn’t ready to wrestle Edge that year at SummerSlam. This was also three years ago but I think one match with Cena is the way to go. Keep in mind that we may never find out the circumstances behind Foley’s decision to leave TNA Wrestling. Foley’s contract isn’t up until September so he will have to come to terms with the company for a full release. Part of those terms could be that Foley has to refrain from publicly bashing the company or revealing any of the future storylines. Mick Foley came into TNA Wrestling in 2008 to take them to the next level. Did he do it? I don’t think so, but he certainly helped the company get more exposure and publicity during the first half of his tenure. I think overall it was a success for Foley. Unlike many in his position that have gone to TNA, I don’t think he did anything to tarnish his legacy. He certainly didn’t have any in-ring classics, but he gave the company a recognizable face at a turning point for TNA. There is also Ring of Honor. Ring of Honor becomes a very viable option for Foley after the ROH sale to Sinclair Broadcasting. Sinclair has the money to offer Foley a competitive contract to whatever he would make as a part-time or non-performer in the WWE. Sinclair will likely want a familiar face on their broadcast once they debut ROH on their television network. Foley and Jim Cornette appear to get along great, so the fit would be a natural for everyone. Foley could accomplish for ROH a goal he wasn’t able to fully meet in TNA and that is take a young wrestling company to the next level. He could be very valuable in marketing the new brand to advertisers and syndicates if ROH could bring him on board. Mick Foley may not be the wrestler he once was but he certainly has options. His timing to become a free agent couldn’t be better.